Media Commentator, in both Arabic and English. Born in Sudan with dual British and Sudanese Citizenship, he has lived in the UK since 1982. Dr El-Affendi is Reader in Politics at the Centre for the Study of Democracy, University of Westminster and co-ordinator of the Centre's Democracy and Islam Programme. He is also currently an ESRC/AHRC Fellow in the Global Uncertainties Programme working on a project entitled: Narratives of Insecurity, Democratization and the Justification of (Mass) Violence. His most recent book About Muhammad: The Other Western Perspective on the Prophet of Islam was published in London by Legacy Publishing in 2010. Educated at the Universities of Khartoum, Wales, and Reading, Dr El-Affendi is also author of Turabi's Revolution: Islam and Power in Sudan (1991), Who Needs an Islamic State? (1991 - 2008 second edition) , Revolution and Political Reform in Sudan(1995), Rethinking Islam and Modernity (2001), For a State of Peace: Conflict and the Future of Democracy in Sudan(2002), The Conquest of Muslim Hearts and Minds: Perspectives on U.S. Reform and Public Diplomacy Strategies (2005) and About Muhammad: The Other Western Perspective on the Prophet of Islam (2010). Dr El-Affendi was member of the core team of authors of the 2004 Arab Human Development Report: Towards Freedom in the Arab World and is member of the Advisory Board and a contributor to the 2005 report. He is also co-author of the report: Contextualising Islam in Britain: Exploratory Perspectives (2009). 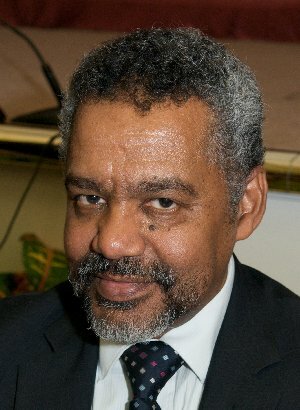 Dr El-Affendi has also contributed to many leading journals, including The International Journal of Middle Eastern Studies, African Affairs, Journal of International Affairs, Encounter, The Muslim World, Journal of Intervention and Statebuilding, Harvard Middle Eastern and Islamic Review, and Contemporary Arab Affairs. He is also contributor or co-author of works including: The Routledge Encyclopedia of Philosophy (1998), Social Science and Conflict Analysis (1993), Islam and Justice (1997), Islam and Secularism in the Middle East (2000), Islamic Thought in the Twentieth Century (2003),Understanding Democratic Politics (2003), American Power in the 21st Century (2004), The Blackwell Companion to Contemporary Islamic Thought (2006), Islamic Democratic Discourse: theory, debates, and philosophical perspectives (2006), The Road Less Travelled: Reflections on the Literature of the Horn of Africa,(2008), Dying for Faith: Religiously Motivated Violence in the Contemporary World (2009), Debating the War of Ideas (2009), Citizenship, Security and Democracy: Muslim Engagement with the West (2009), Iraq, Democracy and the Future of the Muslim World (2010), and Democracy in the Arab World (2010). He is also member of the Advisory Council of Prince Al-Waleed bin Talal Centre for Contemporary Islamic Studies, University of Edinburgh, member of the Board of Directors of Inter-Africa Group (Addis Ababa), and a trustee of the International Forum for Islamic Dialogue (UK). Dr El-Affendi is currently a Visiting Fellow at the Centre for Islamic Studies at Cambridge University, and has previously been a Visiting Fellow/Professor at the Christian Michelsen Institute, Bergen, Norway (1995 and 2003), Northwestern University (2002), and the International Centre for Islamic Thought and Civilization, Kuala Lumpur (2008).